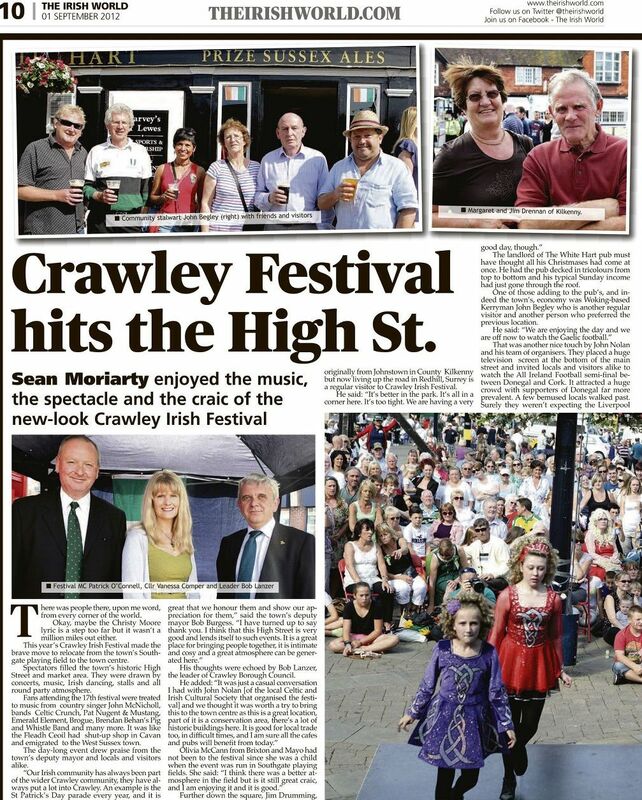 Sean Moriarty of the Irish World came down to Crawley to provide a review of our first event in the Town Centre. 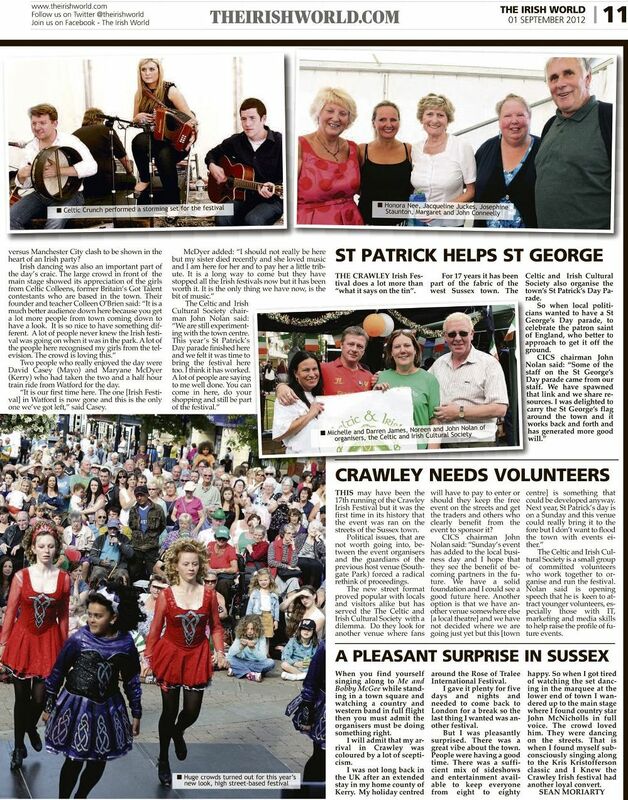 This was published in the 1 September 2012 edition of the newspaper. He had some nice things to say.